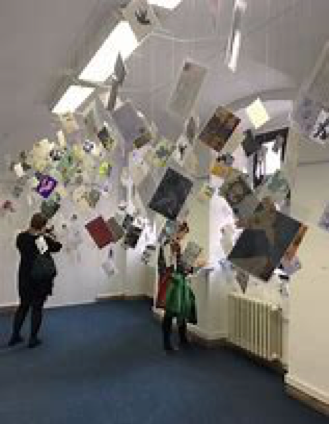 The Migrations Exhibition is the brainchild of illustration lecturers from the International Centre for the Picture Book in Society (ICPBS) at the University of Worcester, our colleagues in nomination process for the Biennial of Illustration Bratislava. The Migrations Exhibition was commissioned for 2017 and displayed in Bratislava from where it has been on tour around the world. 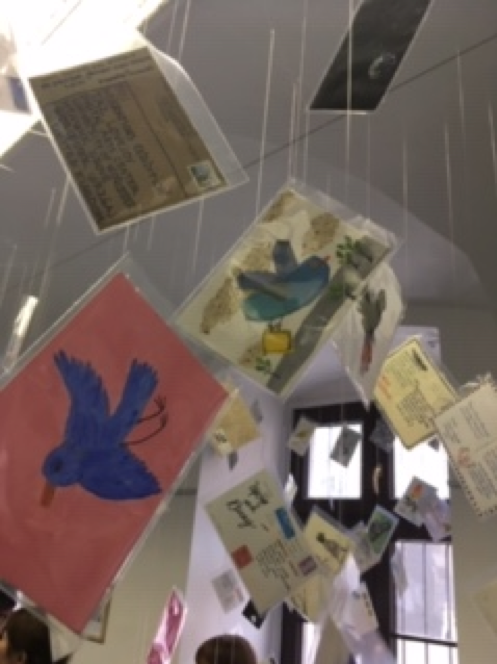 The exhibition features more than 300 postcards each bearing an illustration of a bird, representing the theme of migration. Illustrators from around the world have contributed, including well-known picture book illustrators such as Isol from Argentina, Roger Mello from Brazil, Shaun Tan, Christopher Corr and Jane Ray. Their work hangs alongside postcards by recent University of Worcester Illustration graduates and professional Illustrators at various stages in their careers. To find out more visit the University of Worcester's website. Watch an interview with exhibition Project Manager, Piet Grobler here.